Monday 08 – 09 – 19 saw the beginning of the Summer Trips. La Marina were at home to San Luis. W2 L2 D1, the points were 7 for and 5 against. Shots were 100 for and 80 against. An excellent result as La Marina got off to quite a poor start but came good. 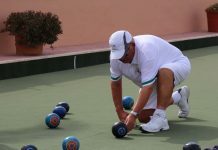 The two winning rinks were Kathy Manning, Roy Hart and John Morgan, 27 – 12; Maureen and Dave Taylor and Mike Stone, 24 – 12. Reg Jackson, Cliff Rawlinson and Dave Hadaway picked up three on the last end to earn a well deserved draw, 16 – 16. 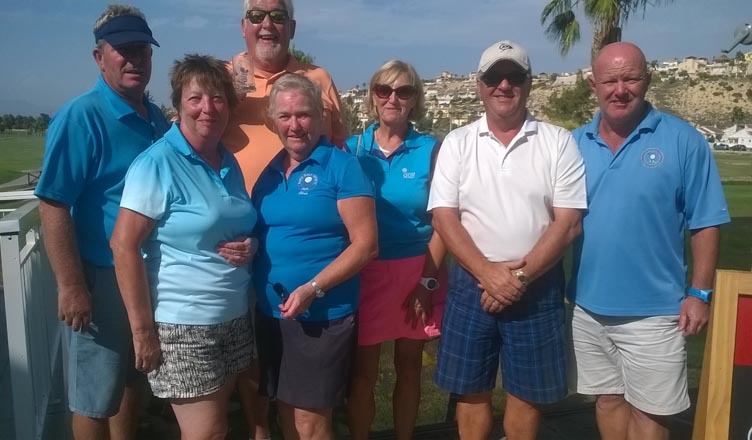 The rink of Barbara Forshaw, Dave McGaw and Maureen Kidd went into the last end 18 – 18, but lost by one shot. All in all not a bad start for La Marina. L M B C wishes all our competitors in the Champion of Champions the best of luck. 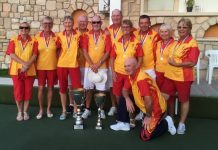 The Champion of Champions tournament is running from Monday 15th-Sunday 21st at San Miguel, + Vistabella on Monday & Tuesday; we wish all our players the very best of luck. 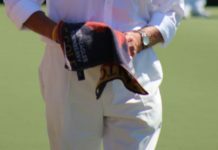 Monday 8th SL Wellingtons v SM Christians, 10-2, 105 shots-78. 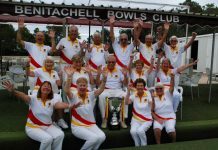 Winners: Kath Reid, Neil Morrison, Ian Kenyon 20-14, Colin Jackson, June & Keith Jones 26-18, Pam Lockett, Giuseppe Galelli, Brian Pocock 18-10, Margaret Morrison, Sabrina & Russell Marks 23-14. Thursday 11th v Vistabella Fairways SL Wellingtons; 8-4, 87 shots-68. 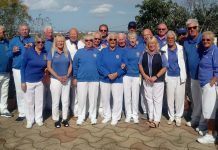 Winners: Bob White, Ann Holland, Neil Morrison 26-11, Colin Jackson, June & Keith Jones 14-9, Kath Reid, Pam Lockett, Ian Kenyon 17-14. SL Hercules v LM Pilots 80 shots-100, 5-7. 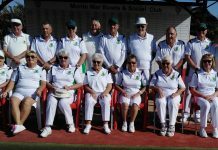 Winners: Ros Holmes, Peter Fuller, Brenda Brown 21-15, Ray Watmough, Bill Webb, Derrick Cooper 19-18, Judy Carroll, Mags Haines, Les Bedford 16-16. Despite the recent change agreed at the LLB AGM, that a side will comprise 6 teams, we are still determined and committed to playing 4 squads in both the Monday & Friday leagues. For the coming season it looks as though we will have 2 squads in both Division A and Division C on both days. There will be plenty of games for everyone and opportunities for players of all levels of experience. We have an established open and fair selection policy for all divisions. League entries have to be in by mid-August. If you commit to playing for us by joining on 1st August you will have 13 months membership to 31.8.20. We also have 7 months membership from 1.10.19-30.4.20. 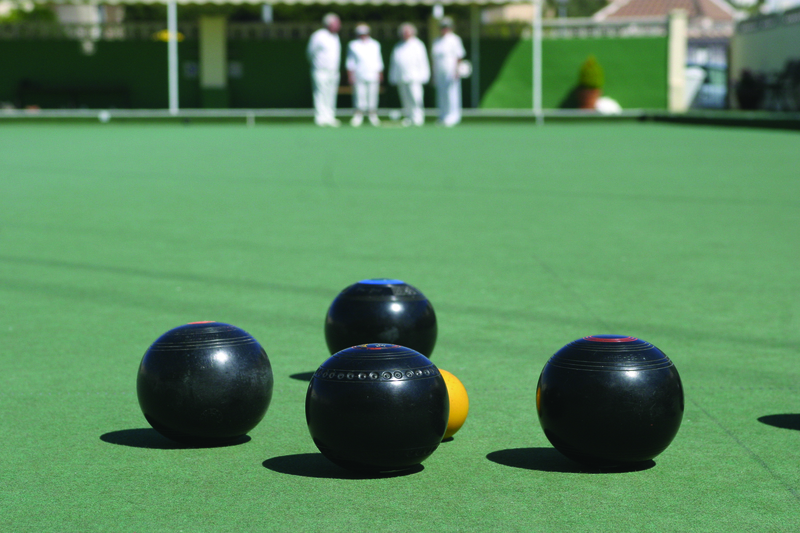 Come along & bowl for free on any Sunday morning at 10:00am to try the game….ask at the bar. For further information please contact our Club Captain June Jones – 691 903 773 or Vice-Captain Ian Kenyon – 662 282 103. We look forward to hearing from you. 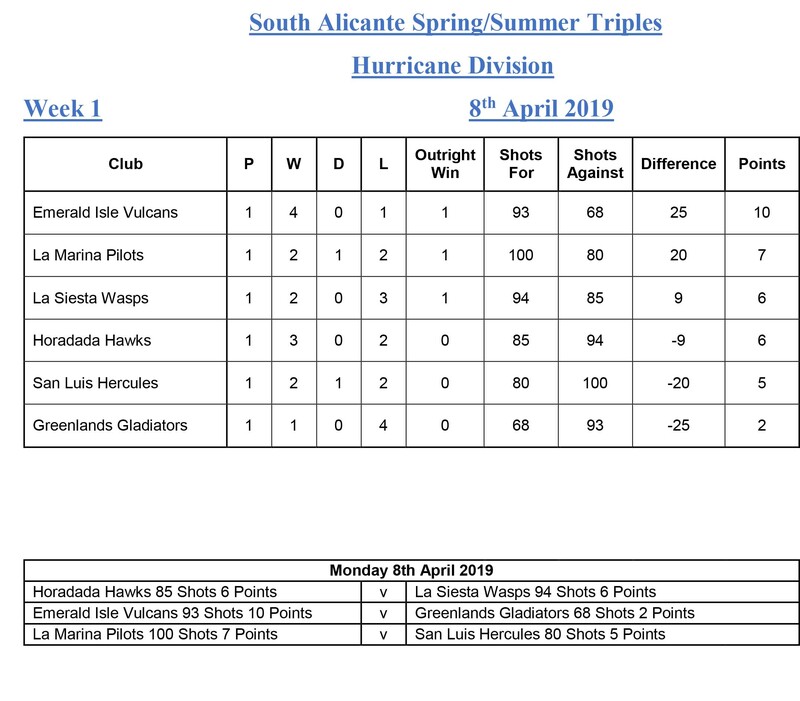 On Monday San Miguel Moors were home to Emerald Isle Victors losing 4 – 8 (82 shots for & 89 shots against) the best winning triple were Sue Miller, Don Whitney and Lee Sinclair 24 – 10. 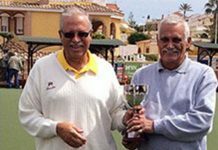 San Miguel Christians were away to San Luis Wellingtons losing 2 – 10 (78 shot for & 105 shots against) the best winning triple were Bob Nesbit, Derek Farmer and Dave Champion 22 – 18. On Wednesday the last Winter League game was played with San Miguel at home to La Siesta, where they had a great win 11 – 1 (117 shots to 59). The best winning rink were Don Whitney, Dave Johnson, Gail Willshire and Fred Willshire 28 – 4. A reminder that the Wasps sessions will not take place this Wednesdays, due to the Club hosting the Champion of Champions competition, back to normal next week. A quieter week with the lead up to the Champion of Champions competition due to begin on Monday 15th, we wish all our representative good luck, please go along and support your friends. 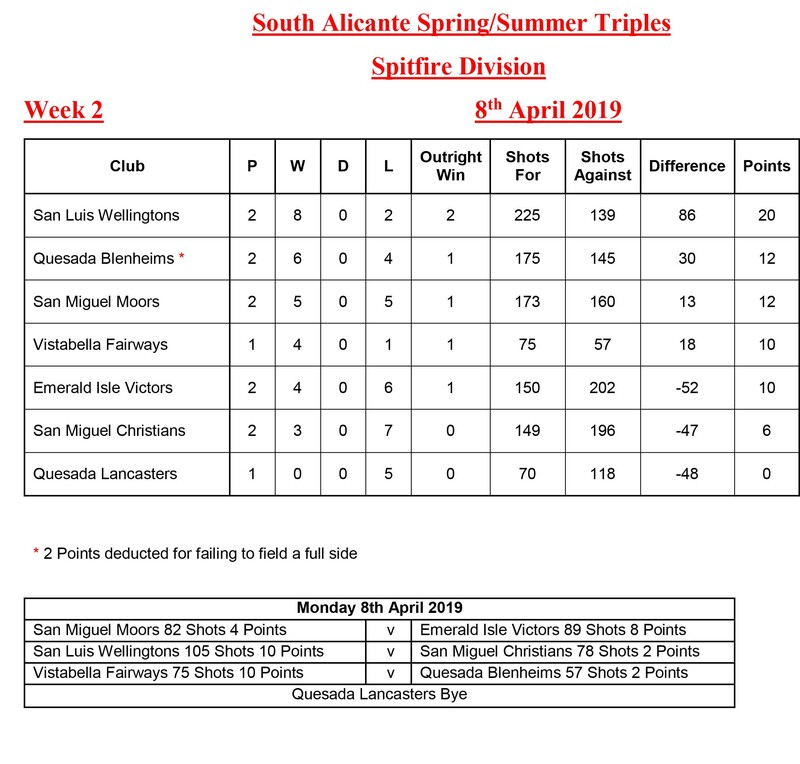 SAL SPITFIRE League Fairways started their campaign this week with two games, the first was at home against Quesada Blenheims where they kicked off with very good result. 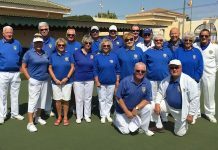 Our winning rinks..one which was due to the opposition failing to field a full side, the others wins were from the teams of Alan Whitley, Barry Norris & Maggie Furness 19-10. Del Gunning, Neil Burrows & Martin Foulcer 18-10 and Lynne Bishop, StJohn Broadhurst & Eric Bishop 15-13. 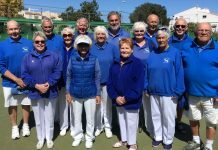 Shots, VB 75(10) – 57(2) Q Later in the week the Fairways played a rearranged home match against San Luis Wellingtons, the game was very even on most rinks but we only finished with two wins, they were from the teams of Lynne Bishop, Peter Rees & Eric Bishop 18-16 and Lin Watkins, Charlie Watkins & Maggie Furness16-14. Shots, VB 68(4) – 87(8) SL. 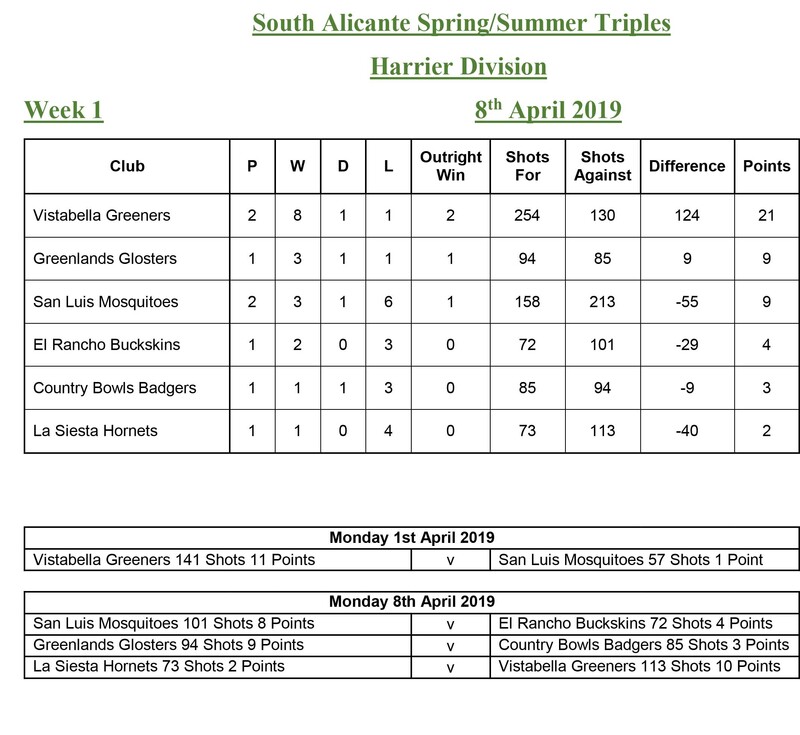 HARRIER League Greeners played the Hornets at La Siesta and enjoyed another great result, four wins from the teams of Olwyn Ratcliffe, Stuart Allman & Brian Dunn 32-5. Steve Wilson, Sue Jenkins & Sue Wilson 23-14. Stan Dibble, Bert Ewart & Pat Rafferty 20-18. Rosemarie Savage, Ken Savage & Avril Kendal 21-19. Shots, VB 113(10) -73(2) LS. 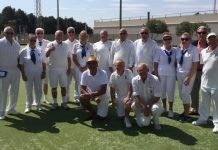 The concluding games in the Vistabella Open was unfortunately rained off. The match Secretary agreed a monetary settlement with all the teams. Thank you Arthur & Barbara Brown for your hard work. The start of the new season saw the Gladiators away to the Emerald Isle Vulcans, a good start was made on all rinks but were unable to maintain the momentum resulting in just the one rink won and four lost. Final score, shots 68 – 93. points 2 – 10. winning rink – T Powell, D Toozer, skip J Obrien. 21 – 14. In the Harrier Division, the Glosters were at home to Country Bowls Badgers. A good start to the season with an excellent win, final score was, shots 94 – 85. points, 9 – 3. Best winning rink were C Stobbart, R Wattley, skip G Stobbart. 23 = 14. 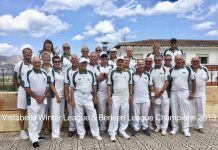 In the winter league we travelled up the AP7 to Bonalba, The wind was making things difficult for all the players but that made the games more interesting. Final scores were, shots 76 – 95. Points, 5 – 7. best winning rink goes to C Rudge, J Hier,L Rudge, skip D Toozer. 16 – 14. This being the final match of the Winter League leaves us in a better position than were in last season so well done everyone especially to the players who filled the breach at short notice. No report next week as its the Champion of champions all week, please support our entrants when you can, it does make a difference. Very well played to these players who managed to come through with the win in the end. The final result was a draw with 85 shots for to 94 against giving both teams 6 points. The next league match is not until 22 April as the Champion of Champions tournament starts today 15 April. We wish all of our entrants the very best of luck in all disciplines for this annual event. Previous articleParakeet flocks cause for concern – in SCOTLAND!